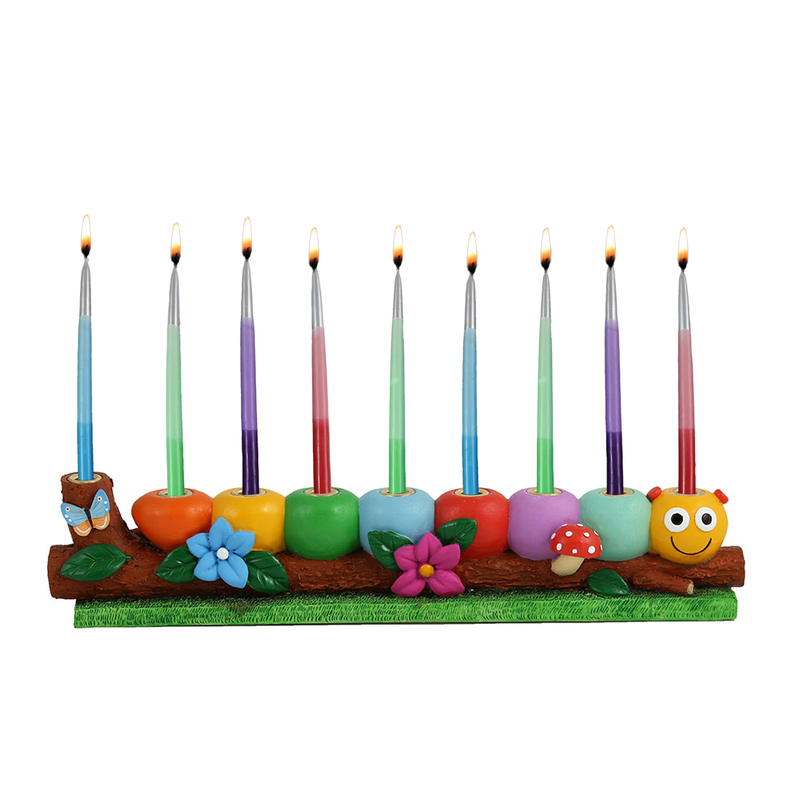 Caterpillar on a log menorah. An absolutely stunning picturette creation featuring a smiley caterpillar in nature. Hand molding and painting to the finest detail, the design spans thru all sides of the item.